The Dott. Marco Cianfanelli graduated from the University "La Sapienza" in Rome and in 1981 in Medicine and Surgery from July 1986 he specialized in Orthopedics and Traumatology at the Catholic University of Sacred Heart in Rome. In 2000, he also attended a Visiting Fellow in the Department of Surgery and Traumatology Hospital Civic Lugano and at the same year he earned a master's degree from the Association for the study of osteosynthesis. 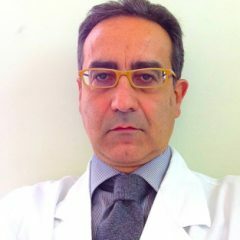 In 2001 at the same association he was in the course AO on hip fractures in 2004 followed a Fellow Visiting at the Department of Trauma and Orthopedics, Humboldt University in Berlin, and in 2008 a Fellow Visiting at the Foot Surgery Center "Prof. . G.Pisani "Clinical Fornaca Sessant, Turin. And 'Medical Director of the First Level in the Division of Traumatology S. Camillo di Roma and also charge dell'Ambulatorio pathology of the foot and ankle. He carries on his professional activity at Studio Medicom Rome.